The Latin definition of concussion is ‘to shake violently’ or the ‘action of striking together’. A concussion is a type of traumatic brain injury caused by a strike to the head, a fall, or other injury that shakes the brain inside the skull. According to a 2010 National Hospital Ambulatory Care Survey, approximately 355,000 people visited the emergency room for a traumatic brain injury which includes concussions. There are many reasons why people experience concussions and one of them is a car collision. The Illinois Department of Transportation reports that in 2011 there were more than 281,000 collisions throughout the state. Additionally, more than 84,000 car accident injuries were reported; of these injuries 11,942 prevented the injured individual from walking, driving, and continuing the activities they were capable of before the accidents. Concussions are very serious injuries that can impair an individual and if left untreated cause permanent damage. Have you or someone you love suffered from a concussion after a car accident caused by a careless driver? If so, the victim may be entitled to compensation for property damage, medical bills, lost wages, and more. At the law offices of Tapella & Eberspacher, we can help fight for your MAXIMUM compensation amount. Fill out the form to your right for a no-cost, no-obligation review of your accident claim or call our law offices at (855) 522-5291. The definition of a concussion illustrates how such injuries occur. 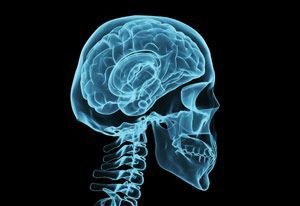 The sudden jolt of braking to avoid hitting another vehicle or smash into another car can quickly result in a concussion due to the movement of the brain inside the skull. Although using a seatbelt can aid in preventing a serious head injury, there is no guarantee that a person will not suffer from a concussion. Furthermore, a person does not necessarily have to lose consciousness to be diagnosed with a concussion. The signs and symptoms of a concussion can range from mild to severe and last from a few hours to a few days. It is important to note if you or anyone you know is suffering from these symptoms as it could be a concussion or signs of a more serious injury. Doctors can diagnose a concussion through a serious of questions and small tests to check a person’s strength, balance, coordination, and more. If you or anyone you know has experienced head trauma it is important that they seek medical attention right away. Typically a concussion will head over time, however, it is important that a person see a doctor as some persons may have to stay at a hospital to be further monitored. As symptoms of a concussion can be delayed it is important that a person who is sent home be watched over so that any changes can quickly be reported to a health professional. Suffering from a concussion can impact a person’s daily life which is why at The Tapella & Eberspacher Law Firm we believe that those who caused another person to suffer an injury should be held responsible for their actions. Our knowledgeable team of attorneys can provide comprehensive legal counsel on your specific case and have a reputation for handling complex litigation. We will work hard to ensure that you receive the MAXIMUM amount of compensation you deserve under Illinois law. …and many more local towns and cities. For more information on your legal rights and how we may be able to help you with your claim, contact us at 1-855-522-5291. You initial case consultation is free and If we take your case, you pay no fees unless you receive compensation. If you would prefer to contact us online, fill out the ‘Get Help Now’ form at the top right hand corner of this page – it’s 100% FREE to submit and completely confidential.